Experienced party DJ for all types of parties, plays at private functions across Europe and the UK for leading events companies and clients. 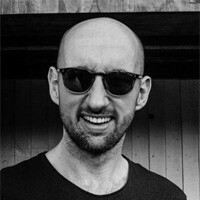 Resident and founder of one of the longest running house and disco nights in the UK, ‘Slide’, as well as ‘Up On The Roof’, founder of ‘Brixton Disco Festival’ and ‘Out To Graze’ Festival, working with many large live and DJ acts including Dimitri From Paris, Andrew Weatherall, Todd Terje, Norman Jay, Gilles Peterson and many others. Get in touch to book Matt before you miss out! It was a pleasure to work with Matt and the feedback I have received from our client is that they loved the music. When we have another event either at Adam Street or another venue I will be in touch. – Andrew Webb-Peploe, Account Director – Jack Nadel International Ltd.
Just wanted to say thanks for a great nite last nite….everyone has commented on how good the music was and the dance floor was packed all nite. Pop, R’n’B, Indie, Soul, Funk, Jazz-Funk, Disco, House, Drum’n’bass, UK Garage, US Garage, Chicago House, Old Skool Dance, Rave Anthems, P Funk, Modern Soul, Neo Soul, Northern Soul, Soulful House, Funky House, R&B, Reggae, Ska, Acid-Jazz, Mod Anthems, Hip-Hop/Electro/Rap, Motown, Philly, Rare Groove, Rock, Brit Pop, Indie, Punk / New Wave, Skool Disco, Party Anthems, Rock N’Roll, 50’s, 60’s, 70’s, 80’s, 90’s, Year 2K, and of course all the latest Hits. Regular at Lillingstone Events, Admirable Crichton in Marrakech, Tuscany & Great Milton, Impulse Events DJ of choice, Weddings in Marbella, Valencia and Jersey, Adam Street Private Members Club regular, Groucho Club, Wellington Club, Private Drama Events at Natural History Museum and V&A Museum, Dex Club regular DJ, Used by Academy Music Group for venues throughout the UK, Empire Casino Residency, Ruby Blue Residency, Thirst Bar, Oxford & Soho; The Zodiac, Oxford ; Club Latino, Oxford ; Love Bar, Oxford; Po Na Na, Oxford; Scream Pubs, Oxford; Bridge Club, Oxford; Jongleurs, Oxford; Bullingdon Arms, Oxford; Chibuku Shake Shake, Liverpool; Mad Hatters, Leeds; Metripolis, Bath; The Egg, London ; 333, London; The Key, London; The End, London; AKA Bar, London; Verve, Covent Garden; Loop, Soho; The Living Room, Oxford and Regent St; The Livery, The City; Longacre, Covent Garden; Glade festival; A variety of Oxford College Balls, sharing stages with acts like Goldie Lookin’ Chain, Kelis and Pharrell Williams, as well as tribute acts like Queen Bee and Bjorn Again, and also Chesney Hawkes on a few occasions! Numerous weddings. Thank you so much for DJing at our wedding, we both felt that we had never seen a dance floor as busy and so consistently for a wedding party. If anything it is a shame we did not have longer available to you. We had loads of positive feedback and you had obviously put your homework in.